Technocratic tinkering won't solve the housing crisis. In a speech delivered yesterday to the National Housing Federation (NHF) summit in London, Theresa May took time out from Brexit negotiations to reveal a series of measures to boost social housing. Chief among her announcements was allocation of £2bn of funding for social landlords – councils, housing associations and others – to build affordable and social rent homes. As usual with May’s announcements, this one unravelled by the end of the day – funding will not be made available until 2022/23 and will be stretched over at least six years. If a week is a long time in politics, this time frame is an eternity. So much can happen in the next four years to derail this funding, including further wrangling over Brexit and its aftermath, a change of government, and most likely, May will no longer be Prime Minister in four years’ time (she might not last four months). It is not clear either from May’s speech if the £2bn represents new funding on top of current support for affordable and social house-building nor how many homes it will build. Estimates suggest that £2bn can build around 30-40,000 homes, or 5-7,000 new homes each year. Most housing economists calculate that at least 90,000 or more affordable and social homes are required yearly to contribute to the government’s own universal annual target of 300,000 homes built from the mid-2020s onward. So this new funding is inadequate even within the government’s own planning framework. And there is much ground to make up: Tory-led governments since 2010 have already presided over a calamitous decline in affordable housing supply, which has fallen by almost one third to 42,000 additional affordable homes last year. Social housing has fared even worse: under 6,000 social homes were built last year in contrast to 40,000 eight years ago – an 84% decline. When placed against the decline in social housing, because of the ‘re-invigoration’ of tenants’ Right to Buy council homes and the extensive of the RtB to housing association tenants, this new funding is both inadequate and too late. One of May’s more promising pledges is that local authorities will not be required to sell valuable council housing to pay for the RtB for housing association tenants. This is welcome since such sales would have denuded social housing even further. 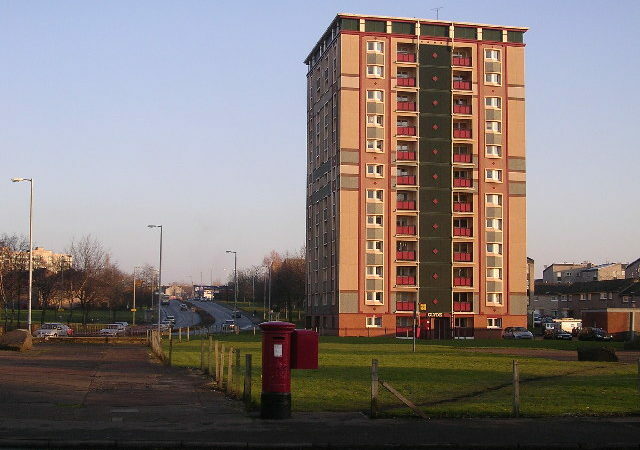 Also welcome was May’s different take on social housing stigma in contrast to, for example, previous Chancellor George Osborne’s stereotyping of welfare recipients in his ‘striver vs. skiver’ rhetoric, which often targeted social tenants. But May’s approach in practice is again inadequate – a strengthened complaints procedure, the publication of social landlord performance league ‘tables’, and a vague aspiration that tenants may be able to buy their homes at a rate of 1% per year at some future date. What’s required instead of this technocratic approach, and the unsustainable promotion of home ownership, is ‘A New Deal for Tenants’. This should enable social housing to be controlled by residents and communities through mutualising the sector; rebranding the sector as community housing to side-line stigma; repealing welfare reforms targeted at social tenants (especially the Bedroom Tax) – and a massive injection of funding into building new social housing.